Books may add pack weight, but they were some of the most valuable items I brought on my thru-hike. My Oregon Coast Trail reading list helped me to process the grief that inspired me to do the trail to begin with, to push through challenging moments, to learn more about the places I was passing through, and to evolve as a person. I began my trip with Wild, and then my friends brought me a couple of books in resupply bags. Each time, I would trade my completed book for a new one, so I wouldn’t accumulate too much pack weight. I also purchased a collection of poems during my first extended stay in a small town. I know, how cliché of me. But this is an inspiring, authentic, and relatable story of a woman who sets out on the Pacific Crest Trail in order to rebuild herself. I read most of this right before my trip, and finished it on the trail. I was able to laugh through my early struggles with my heavy pack partly thanks to her amusing descriptions of struggling with Monster (her enormous pack). In some of my tougher moments, I remembered her strength and perseverance. Cheryl Strayed’s impressive physical accomplishments on the trail pale, however, compared to her great inner strength and the fearlessness with which she faces the challenging aspects of her life. Each time I read Wild, I am reminded that the only real option is pushing forward – no matter what is ahead – and diving deeply into what life has in store. Bring this book on a camping trip, a thru-hike, or whatever. Just read this amazing book if you haven’t yet! 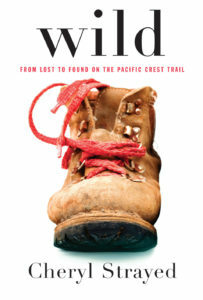 There are a lot of options for purchasing a copy listed at the bottom of the Wild page on Cheryl Strayed’s website. I also highly recommend the movie. They did a great job of adapting the book to the screen. After reading Wild, I was ready to face my own demons and delve into my own grief. This book is a great guide for that process. 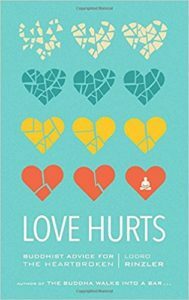 Though Love Hurts contains a lot of profound advice, this book is an easy read. Consisting of small, digestible sections, the book encourages you to jump around to topics that feel relevant to you on a given day. As the author accurately notes, it is hard to think in a linear fashion when you are in pain. With compassion, wisdom, and a very relatable, human writing style, Rinzler guides you to reasonable ways of addressing the various facets of grief, and moving forward in a healthy way. I highly recommend this book for anyone in any sort of emotional pain. Order this from Powell’s (they ship! ), directly from Shambhala Press, or from Amazon. I chose this small collection of poetry by a local author when I was at the amazing Gold Beach Books on a zero day. The book’s size appealed to me since I was backpacking. But more importantly, the fact that the author hails from southern Oregon and spends time on the southern Oregon coast caught my attention. I wanted to gain more insight into the lives of those who live in small towns, like the places I was traveling through. Lark’s blunt, well-crafted descriptions capture a diverse array of moments in an accessible manner. 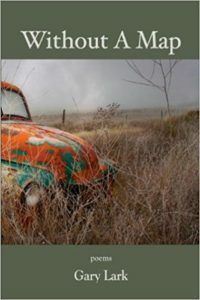 His poems feature descriptions of natural beauty, paired with reflections on the harsh reality of daily life, and ghosts of serving in Vietnam. These stories will inspire you to live on your own terms. 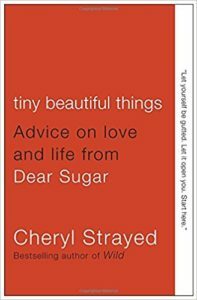 Check out Cheryl Strayed’s website for ways to order this book online. I wish I had known about this book before I began my hike. It was recommended to me while I was in Newport, and I tracked it down as soon as I returned to Portland. 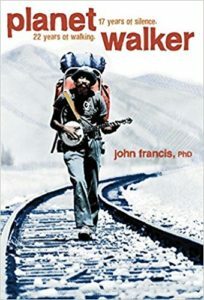 Planet Walker is a memoir detailing Dr. John Francis’s personal pilgrimage across the United States, after he swears off fossil fuel (thus even foregoing buses) and takes a vow of silence, a decision that began as a way to avoid further arguments about his choice to walk instead of drive, but evolves into so much more. As he walks from California up the west coast and then east to Washington, D.C., Dr. Francis explores a diversity of landscapes and local cultures, paints and journals every day, earns a Master’s and a PhD, becomes a National Geographic Fellow, and through all of it, he deepens his understanding of himself and humanity’s relationship with the environment. It is also an important read because it illuminates the unique struggles of a black outdoor adventurer and environmentalist. In so many ways, Planet Walker is a beautifully written, wonderfully informative, and truly profound book. Order it from Amazon now! And learn more about PlanetWalk, the nonprofit founded by Dr. Francis. Each of these books is long – and therefore bulky and heavy. That is the main reason I did not choose them, but you can work around it. I would advise buying a used paperback and ripping it into smaller sections, or photocopying them and making small packets for different stages of your hike. 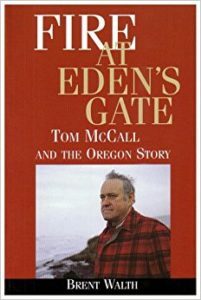 I can’t think of a more fitting addition to an Oregon Coast Trail reading list than the biography of Governor Tom McCall, who was instrumental in building Oregon’s Land Use program and passing the Beach Bill, the landmark legislation that secured Oregon’s public coastline in 1967. This compelling story also touches on the legacies of Governor Oswald West (who has a namesake state park on the northern Oregon coast), Governor Bob Straub (who has a namesake state park on Nestucca Spit in Pacific City, the very site he strove to protect), and many more noteworthy figures in Oregon history. Order this from Powell’s or Amazon. Bill Bowerman is challenging to summarize, but here goes: Descended from pioneers, a veteran of the Tenth Mountain Division in World War II, a relentless innovator and tinkerer, a dynasty-building coach at the University of Oregon, the instigator of the jogging craze in the US, a US Olympic track and field coach, the co-founder of Nike, a practical joker, and much more. He is not only a fascinating figure in Oregon history, but also has changed the world of running, and, by extension, the world itself. His biography is written by one of the athletes he coached, Kenny Moore, also an Oregonian. 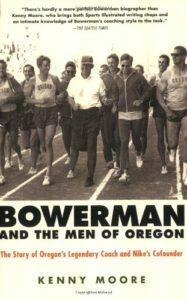 Bowerman also was the coach of legendary distance runner Steve Prefontaine, who grew up in Coos Bay and is remembered in his hometown with two great exhibits, one at the Coos Bay Art Museum, and the other at the Coos History Museum. Reading this biography seems fitting as you pass through Pre’s hometown. I certainly wished I had my copy with me so I could re-read the section on the Prefontaine years. Then as I headed north from Coos Bay, into the daunting dunes, I recalled the self-discipline of Bowerman’s athletes, which inspired me to keep pushing. In many ways, this is a worthwhile addition to your Oregon Coast Trail reading list. This sci-fi classic was inspired by the Oregon Dunes National Recreation Area and written by an Oregonian. Granted, I have not read this yet, myself, but I plan to this summer. 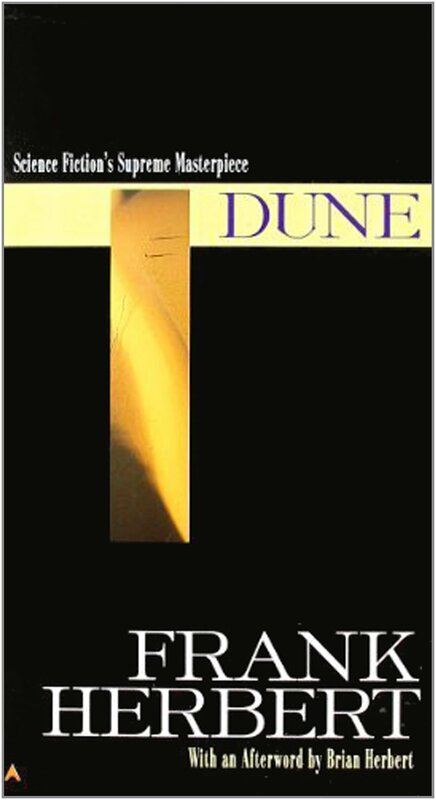 Learn more about this book and order your own copy on the Dune Official Website. Though of course books add to your pack weight, they also will enrich your trip in so many ways. I highly recommend packing something to read! 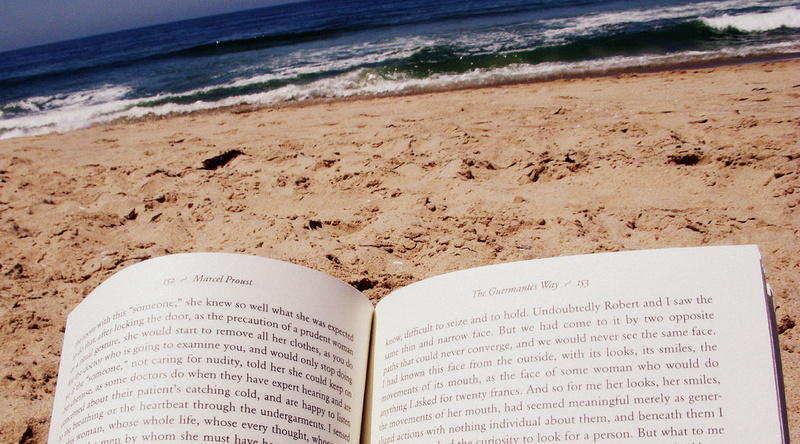 What’s on your Oregon Coast Trail reading list – or your outdoors reading list, in general? Let me know in the comments below! Check out my Recommended Reading page!